:: Get our Milk 'n Honey Extravaganza or the Over the Moon package special - only til Thursday! Special offer until Thursday only! Our Milk 'n Honey Extravaganza was such a popular treatment in April and the results are phenomenal, so I thought I would offer this special and another deal to help get you ready for back to school or to help your poor skin that has taken a beating over the summer. Don't miss our Milk 'n Honey Extravaganza offer and Over the Moon package special, below. The Milk 'n Honey Extravaganza is a fabulous 90 minute treatment with a facial, eyebrow design, and Milk 'n Honey Collagen masks for lips, eyes and neck. Regularly $125, just $65 until Thursday only - that's nearly half price! Makes a great gift for mom, a birthday girl (or guy), or that special someone! Or have you been wanting to experience our new Saucy Chica Skincare Line? Purchase a series of 6 Over the Moon Facials for $390 (that can be used over the next year) and receive a Saucy Chica Cleanser, Toner, Serum and Moisturizer all wrapped up in one of our Saucy Chica Bags - this is a $195+ value! These deals are only available for purchase from today until Thursday. After you purchase your deal, call 864-271-2710 or email us at Nicole@RaspberryMoonST.com to schedule your appointment. Your appointment doesn't have to be booked this week, but you must purchase the certificate by Thursday. Our August Sercie of the month has everything to do with your skin! This month's sercie is a bag full of Colorescience goodies valued at $35, including one of our Travel Puffs, Pearl Powder Puff, and a Kissed by the Sun Bronzer Puff, as well as trial size samples of Pep Up Gel and Illuminating Serum. If you experience a facial in the month of August be sure to ask for your sercie bag! The rest of this month is all about the lips! Get our Milk 'n Honey Extravaganza or the Over the Moon package special - only til Thursday! It's a Milk 'n Honey Extravaganza! Ninety minutes of pampering - a facial, eyebrow design, and Milk 'n Honey Collagen treatments for Lips, Eyes, and Neck. A $125 treatment for only $65, now through Thursday only! Experience one of our fabulous one hour facial treatments. We will indulge your skin with a facial cleansing, exfoliation with steam towels, décolleté, upper back, hand and foot massage, extractions if needed, and ending with a treatment mask. In addition, give your eyes, lip and neck a lift with the wholesome ingredients of Milk 'n Honey that exfoliate and hydrate the skin. Natural plant ingredients and marine-based collagen boost skin's firmness. Aloe, vitamin E, vitamin C, and rose oil soothe and nourish. This 90 minute extravaganza would normally cost $125, but we're offering a special price - through Thursday only - of just $65! Buy one for yourself and as many as you'd like for gifts - I hate to say it, but Christmas will be here before we know it! Or have you been wanting to experience our new Saucy Chica Skincare Line? Purchase a series of 6 Over the Moon Facials for $390 that can be used over the next year and receive a Saucy Chica Cleanser, Toner, Serum and Moisturizer all wrapped up in one of our Saucy Chica Bags - this is a $195+ value! To purchase, click the button below or get the offer here. This deal is only available for purchase from today until Thursday, August 9th. After you purchase your deal, call 864-271-2710 or email us at Nicole@RaspberryMoonST.com to schedule your appointment. Your appointment doesn't have to be booked this week, but you must purchase the certificate by Thursday. Wear sunscreen on your face every day? Think you're covered? Well think again. How do you protect your lips from the sun? Most women think their balms and glosses have got them covered, but experts say they're dangerously mistaken. Certain lip balms and glosses can actually increase your chances of developing a skin cancer. "Many people do use sunscreen; however they tend to forget their lips," says Christine Brown, M.D., dermatologist on the medical staff at Baylor University Medical Center at Dallas. According to a 2008 study, less than one-in-four Americans wear some form of lip protection. Experts say this is concerning since the lips are not only more susceptible to aging from chronic sun damage, but are also more prone to developing serious cancers. "When skin cancer occurs on the lower lip it has the potential to be much more aggressive and metastasize to surrounding lymph nodes," adds Dr. Brown. What's worse, many of us unknowingly attract the sun's rays to our lips by using balms and glosses. "What most people don't realize is they're actually increasing light penetration through the lip surface by applying something clear and shiny to them," explains Dr. Brown. In fact, dermatologists advise that women should avoid wearing glossy lipsticks in the sun altogether unless they have a layer of sun protection on underneath. "For people who are planning to be outdoors for more than 20 minutes at a time, they really should have a specific lip sun block with an SPF of 30 ideally," says Dr. Brown. To protect your lips, Dr. Brown says the first thing you need to do is get a lip balm or a lip sunscreen that has an SPF of 30. You should apply it in the morning under any lipsticks or lip glosses and then reapply throughout the day just as you would a lip color. Remember, it is just as important as wearing sunscreen on your face and body. So what are the signs you may have developed a skin cancer on your lip? First of all, skin cancers are more likely to appear on the lower lip. If you have any changes to the color of the lip surface--if an area turns opaque or white, or if you have persistent peeling or flaking of a spot on your lip--you should have it checked by a dermatologist. For more information about Baylor University Medical Center at Dallas, visit http://www.BaylorHealth.com. 2008 Newswise. All Rights Reserved. This is one of my favorite products! And now it is available in 6 different shades: Rose, Merlot, Coral, Pink, Champagne and Clear. Sunforgettable introduces a safe approach to super shiny lips with Sunforgettable Lip Shine SPF 35. Lip Shine delivers the look of traditional gloss with a very non-traditional SPF 35 performance. Layer Lip Shine with all other Colorescience Pro lip products or wear it alone as a sheer, shiny gloss with the refreshing hint of spearmint. So, wear Sunforgettable Lip Shine SPF 35 all day and every day whether you are headed for the beach or for the office and know your lips are protected from full spectrum UVA & UVB rays. The active ingredient in Sunforgettable Lip Shine SPF 35 is 5% zinc oxide. Lip Shine contains palmitoyl oligopeptide to keep your lips looking full and hydrated. Bioavailable tocopheryl phosphate (Vitamin E) has been included for its antioxidant benefits that are so important to neutralizing the free radicals generated by sun exposure. Have fun wearing Lip Shine in good health and reapply every 80-90 minutes for the ultimate in beautiful sun protection. 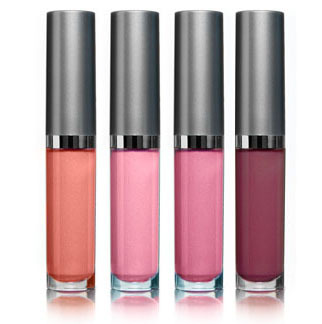 Our SPF35 Lip Gloss is only $20 through the month of August - that's 20% off! Add to any facial treatment for $15. For our hand/foot treatments, this month's Eco-fin flavor is Retreat - a Pineapple and Coconut blend! If you liked our Happy blend of Grapefruit and Raspberry you will absolutely love Retreat. It's like you're on a tropical island. This is truly a healthy, nourishing hand/foot treatment because it is made with 100% natural plant-based emollients and pure essential oils. Palm kernel oil, soy oil, shea butter, jojoba oil, vitamin E, organic coconut oil, essential oils and/or natural and organic aromas of coconut and lavender. Eco-fin treatments will leave your skin feeling soft and silky smooth. If you can remember, bring a pair of socks to put on after your treatment. Feet are sometimes a little slippery and it will help to hold in the product. You can add these to any facial for only $5 for your hands or feet. If you simply want to come in and relax, just give me a heads up and you can read while your treatment sits. It will be $10 for your hands or feet in that case. Honey is a great moisturizer. Rub some honey on your chapped lips to heal them fast and retain their moisture. Apply milk or cream on your lips to heal the lips and to keep them soft. Apply honey to the lips and then apply a Vitamin E capsule over the lips. Coconut oil is very effective in treating chapped lips. Simply apply small amount of oil on your lips several times daily. Aloe Vera is an amazing healing agent for our skin. Put a small amount of Aloe Vera gel on your lips daily to cure chapped lips. Crush some rose petals and add few drops of glycerin on them. Apply it on your lips every night before going to bed. It will help you to regain the color and lost moisture of your lips. Rub a slice of cucumber on your lips to get rid of chapped lips. Apply castor oil on your dry lips to make them smooth and pink. To avoid dry, dark and patchy lips always apply sunscreen on your lips before stepping out. Never peel the dead dry skin from the lips. Keep your body hydrated by drinking lots of water. People who do not drink sufficient water are more prone to get dry lips and dry skin. Gently buff your lips, using a soft toothbrush, to get rid of the deposit of dead cells that will cause more drying and flaking. Never ever lick or bite your lips, it will cause more chapping. Vitamin A rich food, like, carrots, tomatoes and green leafy vegetables should be included in the diet to solve the problem of chapped lips. If you have cracks at the corner of your mouth this might be a Vitamin B deficiency. You may want to be tested by an alternative practitioner to see if you need additional Vitamin B in your diet. Their feet are itching again, and soon it will be time to say "Adios!" to Greenville, SC. 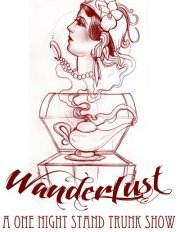 Jessica Wilson of Anthropoloca Jewelry and Niko Nicole of 2611 Clothing are proud to present an evening of unique handcrafted goods and funky world beats with an exotic flare that will leave you wanting more! This is your last chance to get the goods from these ladies before they wander off to faraway lands! 10 Central Studios will become the home to a global trading post where you can come and peruse a variety of beautiful handmade products from Anthropoloca Jewelry, 2611 Clothing, Raspberry Moon Skin Therapy, and Uniq by Jaidra, as well as all the beautiful art created by the residents at 10 Central. Get full details of the event on Facebook. Stop by our post, mention you saw the event in the newsletter and we will have a little Saucy Chica sercie package for you! This will be our first ever organic tequila tasting. Price will include: Tasting, dinner and dessert, as well as a welcome drink and margarita. Seating will be random unless full tables are purchased. This is promising to be one of the best tequila tastings ever! and our secret dessert - a must try for everyone! $45/person -There are limited spaces available so we do kindly ask that you prepay by stopping by the restaurant. Or if you will see me at Raspberry Moon first, I will also be taking checks or cash for your prepayment. For more information please contact Rosalinda's at 864-292-7002. Just a reminder I will be out of the office with limited phone and email access August 9-15. While I am out of the office text and email will probably be the easiest way to reach me. I will be in the mountains part of the time so I usually get texts but not calls.